Hope you all had a fun day!! 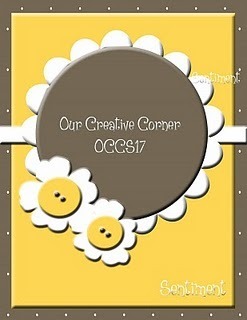 I'm back to craft room...atleast for a while..trying to organize it. 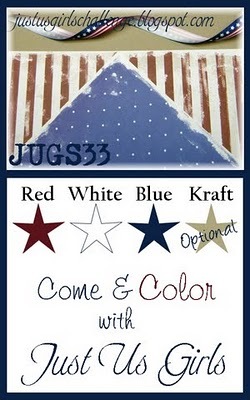 I've CAS card to share with you all...actually I made a set for my friend. 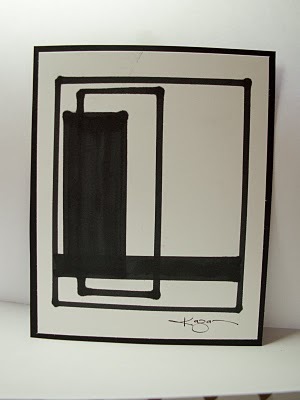 This card is a last minute entry for A Passsion For Papertrey challenge. So I created a fun Father's day card...my little one is a Daddy's girl...she will give this to her Dad on this father's day. 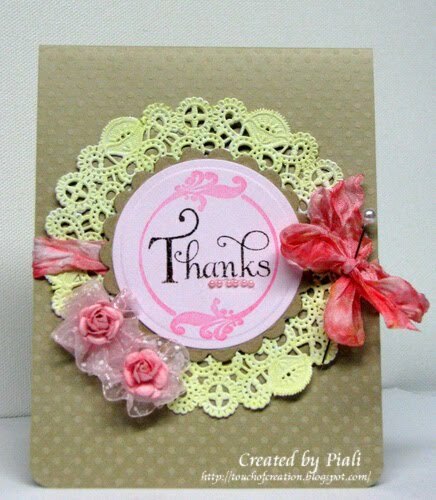 Another great thing about this card ..I didn't use any stamping on it..the sentiment is generated by computer and the image is cutout from the pattern paper. Pile It On: Eat your Veggies. Penny's challenge: to create something with a fruit and/or veggie theme!!! Polka Doodles: Sew and Sew. Lucy's card: Digital...the sentiment is created digitally. 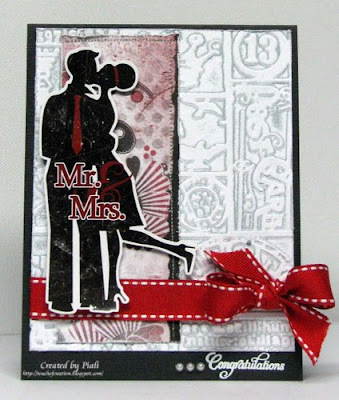 The Crafty Pad : Male card. 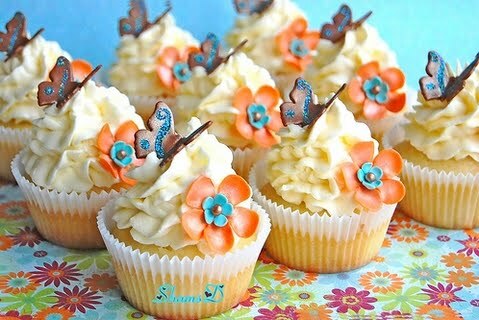 So get healthy and eat your veggies now..lol..
Make sure to link veggie entries HERE by next saturday..
Its time for CUPCAKE INSPIRATION CHALLENGE,CIC#61. Very lovely and delicate cupcakes..so I tried to make a delicate card for it..with Lace,swirls and pearls.. I've used Verve stamps for this card...check out the tiny Prima roses, super cute isn't it?? The ribbon is totally handmade...that is I colored and crinkled Martha Stewart Seam binding using Distress ink and water..its very easy thing to do..love the way it looks. I also handstitched the sheer polka dot ribbon to make the flowers and attached tiny Prima roses to finish. 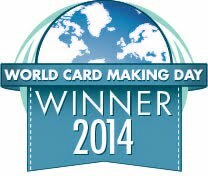 Charisma Cardz: GOING ROUND IN CIRCLES. As you all know by now Everything in Hope Stamps Eternal store is 50% off...and now checkout the the new Released Cuttlebug Embossing folders...you get new stuff at 50% off price , what a Deal!!!! I've ordered mine..you go ahead and get yours while supplies last! Hi!!! 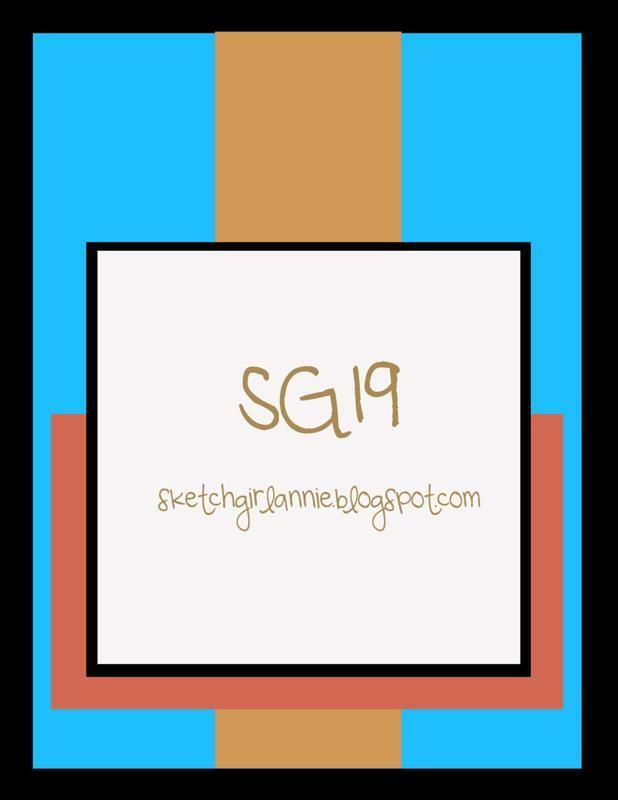 Here is my GDTcard for Sketch Girl challenge.. I made a flower for the square focal area...the sentiments is from Justrite stamps. 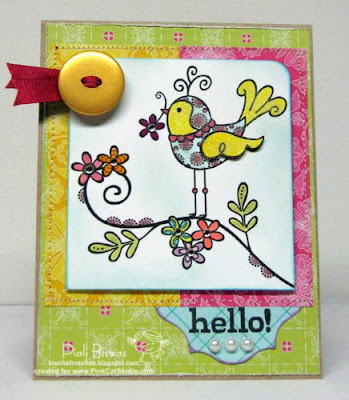 Love these Peebles paper...fun soft colors! 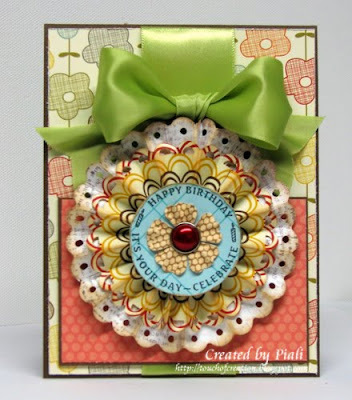 Flourishes Timeless Tuesday challenge: make your own flowers..
Aud sentiments: It's Your Day.. 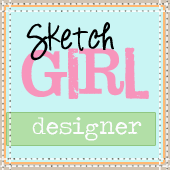 Thank you Sketch Girl team..I had a fun time working with you all!! So you all play along with the sketch...make sure to post a direct link to your preject HERE..
Hope you're enjoying the long weekend!!! 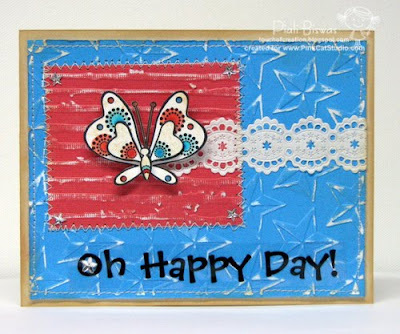 I finally cleaned up my stamping area again and worked on few cards...here is one..
Got some new craft goodies... the embossing folder is one of the new Tim Holtz creation..called Patchwork. 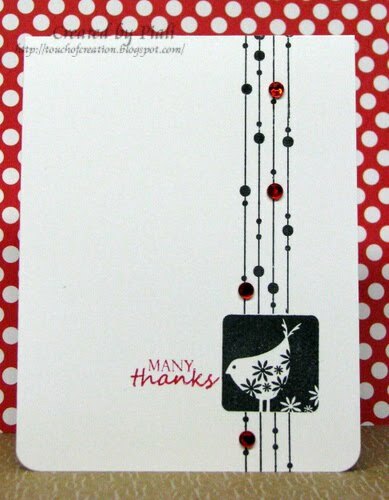 The paper and cardstock sticker are from Glitz designs..
Allsorts: black ,white + one color...I picked red. I'll back with few more cards tomorrow..until then enjoy your weekend!! Blog candy and a Winner!! 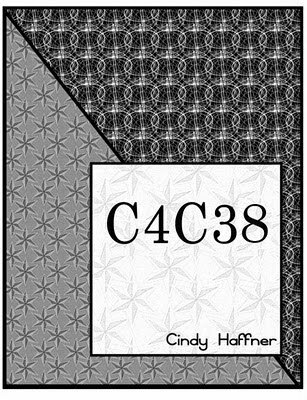 3-6x6 -Basic Grey ~ Max and Whiskers papers. 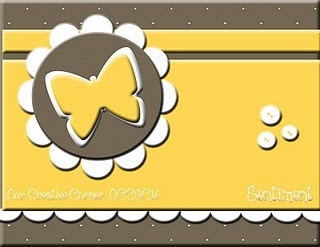 6-6x6 Cosmo Cricket~ Material girl papers. Now on to my Basic grey candy winner..Sorry for the delay ....just had few sick days.. Happy blogoversary! I love the candy. Basic Grey is one of my favorite papers. Thanks for the chance. Congrats Bobbi!!! Please email me your addy at piali(dot)biswas(at)yahoo(dot)com. Have a great looooooooong weekend!! 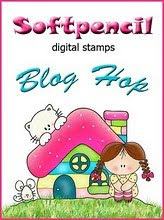 Welcome to SOFTPENCIL CUSTOMER BLOGHOP.. I'm so excited to be a part of this fabulous event. 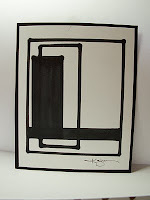 I love,love,love Softpencil images...Elizabeth is an awesome artist... her images are perfect for all occasions. 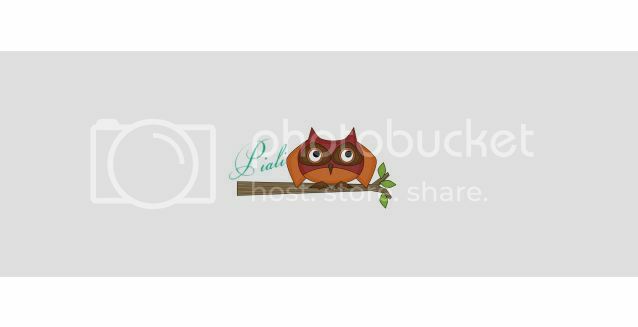 If you're here from Pauline's blog ...you're right on track...if you're join me just now ,please hop over to SOFTPENCIL Blog to start.. 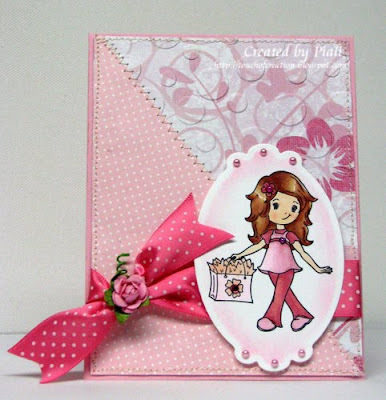 I 've used Cosmo Cricket ~ Delovely papers and ICS _Sketch#68 for this card...lovely color inspiration is from Design dollies..
Next stop is MELISSA C's Blog...enjoy your hop!! Today, May 27th, when you purchase anything from the digital or rubber stamp stores you will receive the "Small Flower" digital stamp for free. 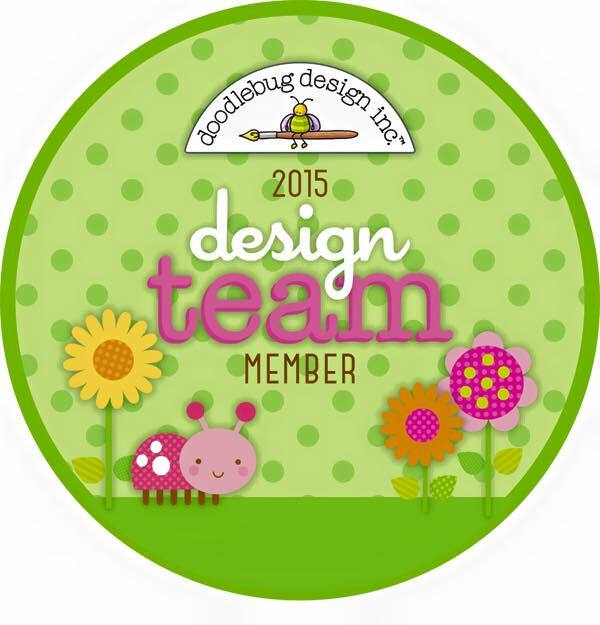 It will be emailed to you separately and within 12 hours after you make your purchase. Check out this fabulous LOTV New Release......these images will be available on June 1st. This candy is open until Midnight on Saturday 29th May, so what are you waiting for... go check it out HERE.. I love ,love this sweet image...its my all time favorite one. 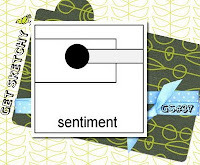 Stamp Something: 2 of Something...I used 2 DP. Crafty pad challenge: Over The Edge ...My ribbon is hanging over the edge. 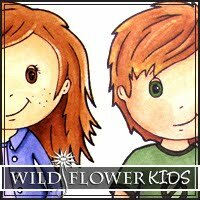 Each week one participant is randomly selected as the winner of 3 Wild Flower Patch digis! Here is my card for this delicious inspiration.. 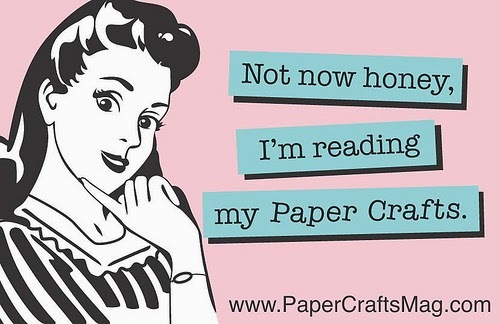 I've used some of my new craft goodies...Cosmo Cricket ~ Delovely papers and EK Success big scallop border punch. What you think of the flower??? Its my 1st time making this ribbon flower....basically cut out the circles out of satin ribbon and the seal the edges by carefully moving it around the candle flame...layer it ..DONE!! The butterfly die is from PTI...embossed it with Sizzix embossing folder..love it! 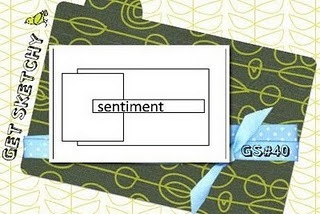 I've the stamped the cardbase with Unity stamp...now here is I need some help from you all.. I'm not happy with the Staz-on white ink I use..do you have any suggestion for the white ink..any particular brand you like..Please let me know I'd love to try some new ones. 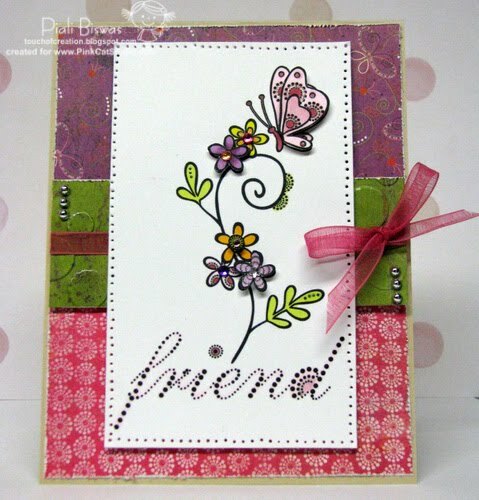 Now this card is for following fine challenges..
Flutterby Wednesday challenge: Flowers with butterfly, fairy or angel! Papertake Weekly: Say it with Flowers. Fab'n' Funky challenges: Make it your own---- I made my own silk flower. Pixie Dust challenge: Add pearls. Inky Impression challenges: F.L.O.W.E.R.S--- I picked flowers, stitching, ribbon, cirles and pearls. COLLEEN , KAREN , KELLI , KRISTIN, MICHELLE(out this week), TERESA . 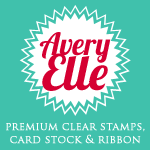 As you all know by now that ...HOPE STAMPS ETERNAL store is closing by May 31st...everything in store is 45% off while supplies last. Papers: Cosmo Cricket ~Delovely, Kraft from PTI. Die & Punches: PTI- Butterfly die, EK Success -Border punch. 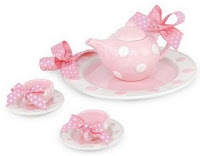 Ribbon, Shimmerz, Sizzix Emb. floder, Perals, Pin, sewing machine/thread, Jewelry wire,beads. 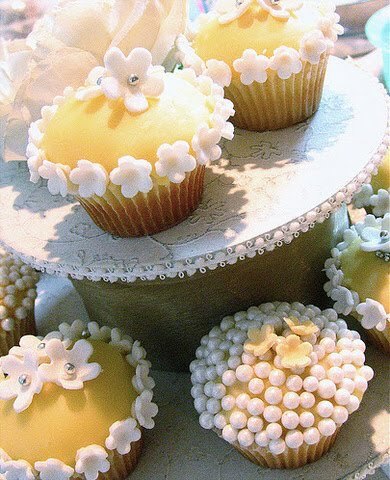 Its called Dots and Delights...completely new style of images...very pretty and elegant ..love it!! 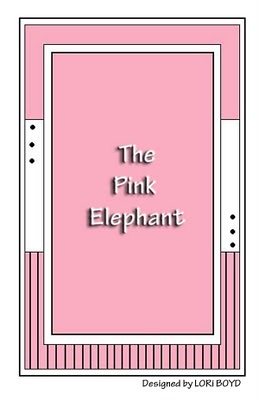 A simply card for a friend using The Pink Elephant Sketch. 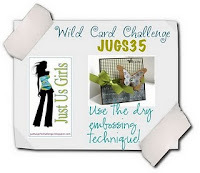 Just Us Girls: Color Challenge. I'm working on some thank you cards using these digis... I'll share with you soon. 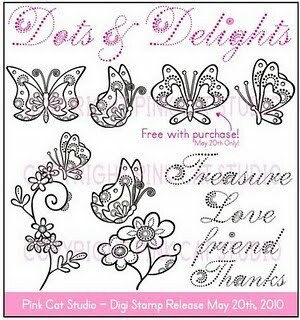 Today, May 20th, when you purchase anything from the digital or rubber stamp PINK CAT STUDIO stores you will receive the "Pretty Butterfly" digital stamp for free. It also comes with a bonus Word Art design which you can see on the PCS website. 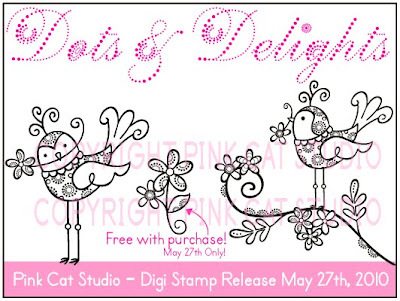 These free stamps will be emailed to you separately and within 12 hours after you make your purchase. So what are you waiting for...happy shopping!!! 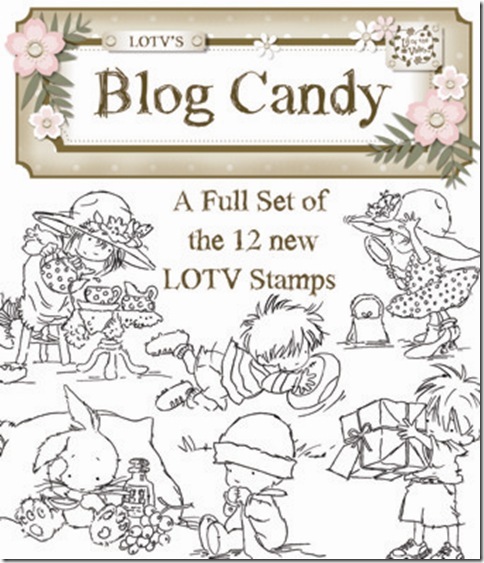 As my 1st blogoversary is coming up in June..I thought of sharing mini candies very week and the big package on the blogoversary day...how about that??? 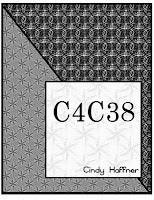 5-6x6 Basic Grey~ Green at Heart papers. Pink Cat Studio FUN contest!!!!! 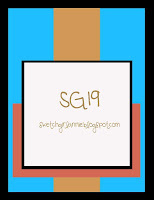 TSG Mother of All Blog Hops!!!! !